Last year, the "Shutdown Law" was created in South Korea to prevent gamers under sixteen from gaming during a six-hour block at night. A year later, it's going to impact more than gamers under the age of sixteen. PlayStation gamers under 18 are getting screwed, too. The law went into effect July 1, 2012, and it's already impacted Xbox Live. However, what happened to Sony seems much worse. Sony "temporarily" took down the PSN Store last June. Sony hoped to get it back up sometime later in 2012, because it needed to revamp the PSN to comply with the new law. That apparently meant that there were no new PSN games and no other downloadable content during this blackout. This week, Sony Computer Entertainment Korea (via tipster Sang) announced that the PSN is finally returning to South Korea. Those who had a Sony Entertainment Network (SEN) account prior to last year's suspension of PSN service will receive an extra thirty days of PlayStation Plus once the PSN starts up again in South Korea on May 16. 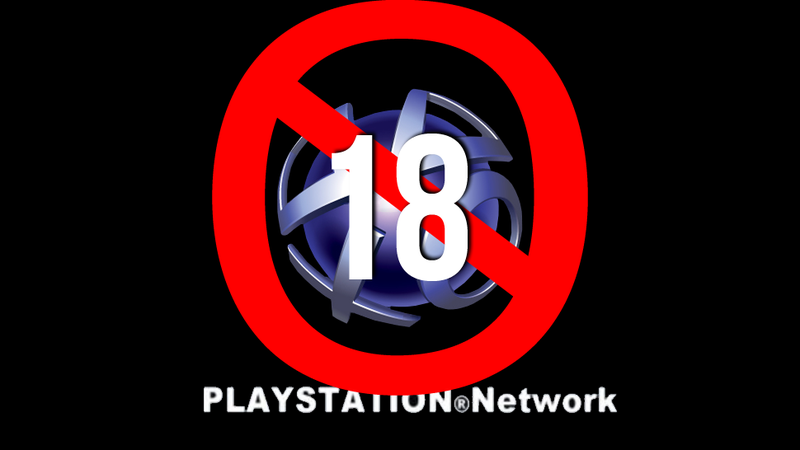 However, people under the age of 18 will not be able to use the PlayStation Network starting May 16. According to Sony's South Korean arm, it was difficult for them to come up with a system that could limit game play time for minors as well as a system to verify parental permission. Thus, the PSN in South Korea will soon be ages 18 and up only. From the sound of it, the PSN in South Korea will be PlayStation Plus only. If you want to use the PlayStation Network, you will need a credit card, explaining the decision to block all gamers too young to get a credit card. I'm sure some under 18 year-old players will get adults to sign up for them. I'm also sure that this isn't going to exactly help the PlayStation 3 in South Korea. At all.